ROCKWiRED MAGAZiNE Readers Poll WINNER!!! ROCKWiRED MAGAZiNE just announced the winners of their 2015 Readers Poll. 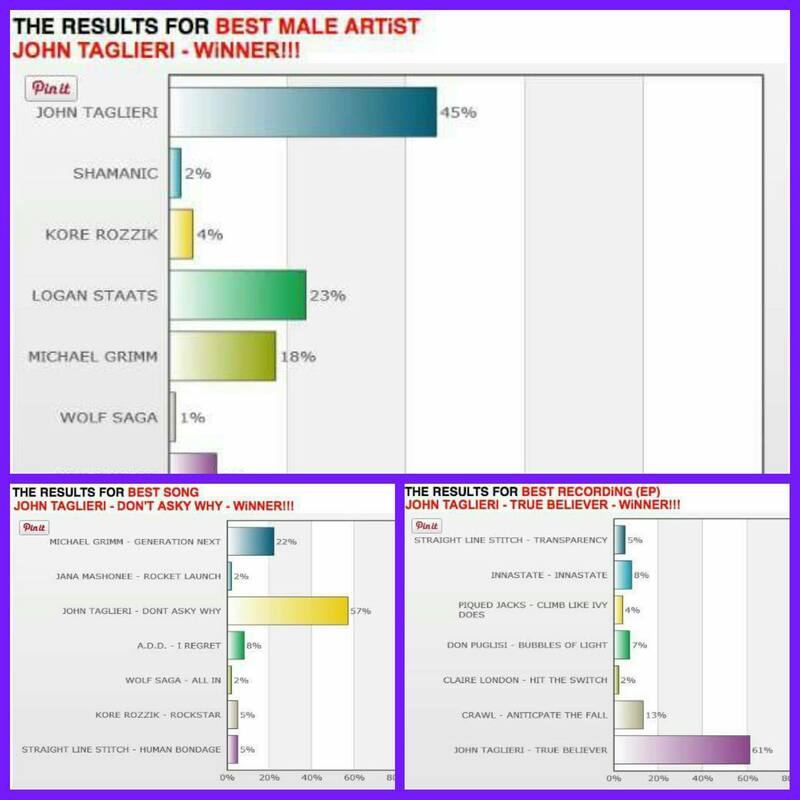 John was nominated in 3 categories and we’re happy to announce we have won all three! Best Male Artist, Best Recording EP, and Best Song!! ITs all thanks to you guys and we can’t ever thank you enough for it! ‘I have to say a HUGE THANK YOU to all of you guys! I won all three categories in the ROCKWiRED MAGAZiNE Readers Poll Awards thanks to all of you that voted. This was a readers poll, so it was all up to you guys to make it happen and man did you. We killed it in all three categories. I’m truly humbled by this and its a great way to start my year! I”ve said it a million times, you guys are the reason i get to do what I do and i never take that for granted. As a THANK YOU, here is the True Believer EP for FREE for everyone today! Go get it! Thanks again for this huge honor!